Discover a new standard in professional, affordable protection from the sun’s harmful UV rays, with the help of HSA Dermal Clinic. We provide a complete range of Heliocare skin care treatments in London, which utilise a powerful complex of antioxidants to deliver unbeatable protection. Formulated using Fernblock – extracted from a rare South American fern – Heliocare have been clinically proven as uniquely effective and suitable for most skin types. If looking for the most advanced sun protection on the market, our cutting-edge Heliocare skin care treatments come highly recommended! Call our London clinic today to book a free consultation. Heliocare skin care treatments work by increasing the skin’s natural resistance to the damaging effects of UVA and UVB rays. Along with protecting the very DNA of skin cells and maximising skin elasticity, Heliocare skin care treatments can also help prevent a variety of hyperpigmentation issues related to UV exposure. Available as both topical products for direct application and supplements for regular consumption, the Heliocare system is suitable for the vast majority of skin types and has been clinically-proven as effective. Whether looking to prevent pigmentation issues or simply protect your skin’s health and wellbeing, you can count on HSA Dermal Clinic to deliver unbeatable results at an affordable price. 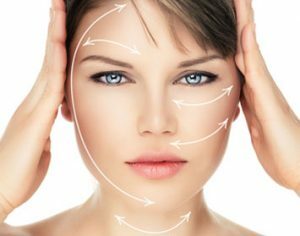 Contact a member of our team today to discuss London’s most advanced Heliocare skin care treatments in more detail. What are the main benefits of Heliocare skin care products? Heliocare skin care products have been meticulously engineered to transform the way the world looks at effective protection from harmful UV rays. Often referred to as “the sunscreen pill”, Heliocare skin care products are available in the form of both topical treatments and oral capsules. One of the biggest benefits of Heliocare skin care being the system’s clinically proven ability to protect the skin from damage, above and beyond conventional sunscreens. Along with safeguarding the health of the skin, Heliocare skin care products can also help prevent the formation of fine lines, wrinkles, dark spots and general pigmentation problems. Another significant benefit of Heliocare skin care products is the way in which the topicals are light and gentle enough to be suitable for the vast majority of skin types. Formulated with a powerful active ingredient extracted from a tropical fern in South America, Heliocare uses the power of nature to strengthen the skin’s ability to protect itself. Heliocare skin care treatments focus on the prevention of common skin problems and conditions, as opposed to the treatment of existing issues. Coupled with a safe and healthy everyday skincare regime, Heliocare skin care can help ensure your skin remains healthy, youthful and radiant for life. Contact a member of the HSA Dermal Clinic team today for more information on Heliocare skin treatments.